Methicillin-resistant Staphylococcus aureus, abbreviated MRSA, is one of a number of greatly feared strains of S. aureus which have become resistant to most B lactam antibiotics. Resistance is conferred by the mecA gene, which codes for an altered penicillin-binding protein (PBP2a or PBP2') that has a lower affinity for binding B lactams (penicillins,cephalosporins, and carbapenems). 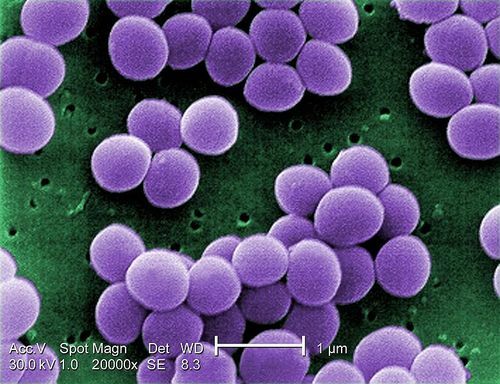 This allows for resistance to all B lactam antibiotics, and obviates their clinical use during MRSA infections. This aptamer was selected by scientists at Base Pair Biotechnologies using proprietary methods and Recombinant Staphylococcus aureus PBP2a, [Ray Biotech Cat # 230-00051] as a target.